So sometimes I fall head over heels in love with a yarn and this is what happened with Woolly Mammoth Fibre Company’s Falkland Merino 4ply singles. The yarn is buttery soft and just a pure delight to knit with. I came across Emma’s dyeing technique last year shortly before Woollinn and I was just fascinated. She uses natural dyeing techniques to create all her colours. I just can’t believe how rich and deep you can dye with natural items. 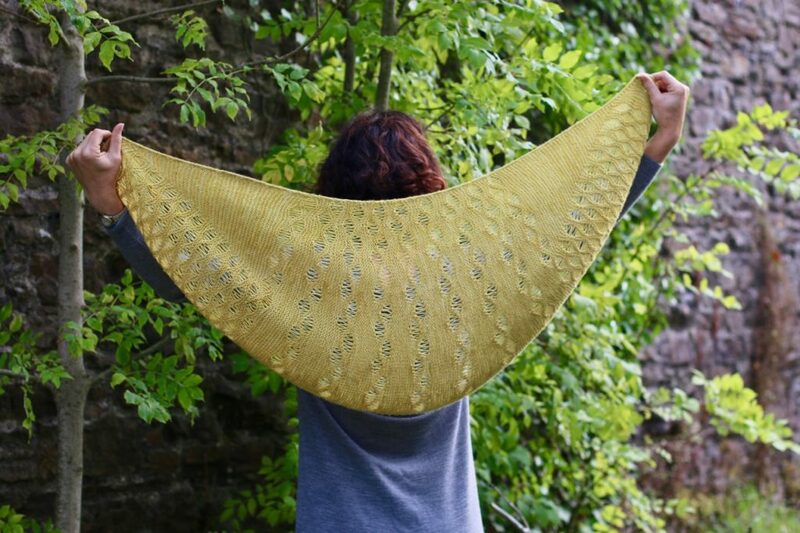 The mustard colour for Sea Bubbles shawl was created using onion skins. Woolly Mammoth Fibre Company is a small hand dyeing and spinning studio based on the North Coast of Northern Ireland, created by Emma Robinson. The yarn created in collaboration with Carol Feller was dyed with onion skins collected by myself, friends & family and from a local café. This was supplemented with Weld extract, a traditional dyeing ingredient which has been used for centuries to dye with. 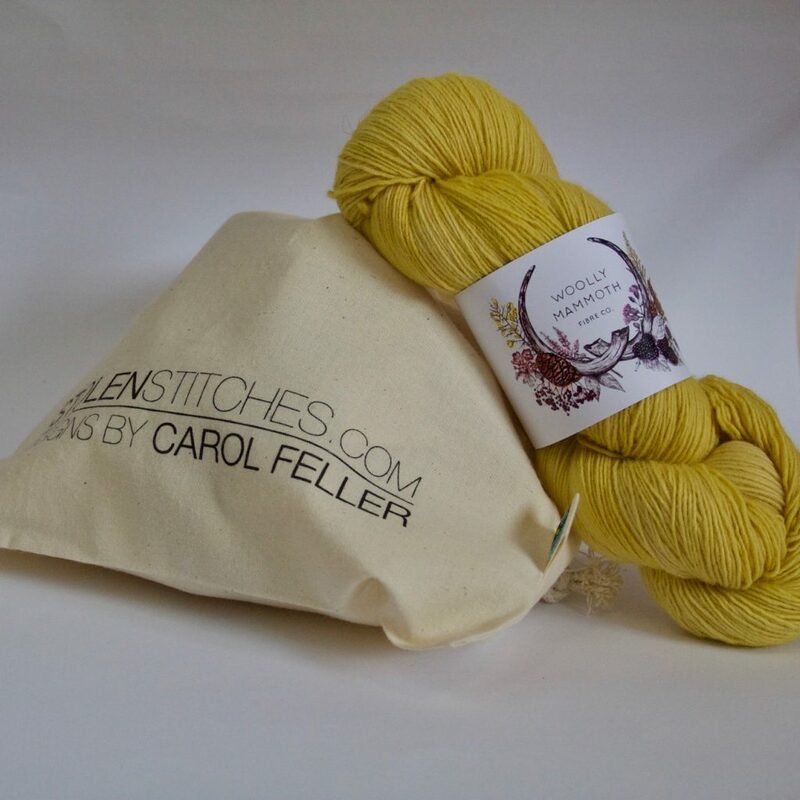 Together, these two ingredients create the most interesting shade of yellow, and every skein is unique and a little bit different because of the variations in the natural dyeing process. The base is a 100% mulesing-free, non- superwash Merino sourced from the Falkland Islands, and it is spun in the UK. Now you might like to hear a little bit about the shawl? As the yarn is a fine 4ply the yardage is fantastic for a single 100g skein. The Sea Bubble shawl stretches the yarn as far as it will go and uses only a single skein. The shawl is constructed from side-to-side. I starts at the very tip of one end, increasing in garter stitch (with a nice tidy I-cord edging). The garter stitch then becomes the Seafoam pattern along one edge while maintaining the garter stitch at the top with the increases. 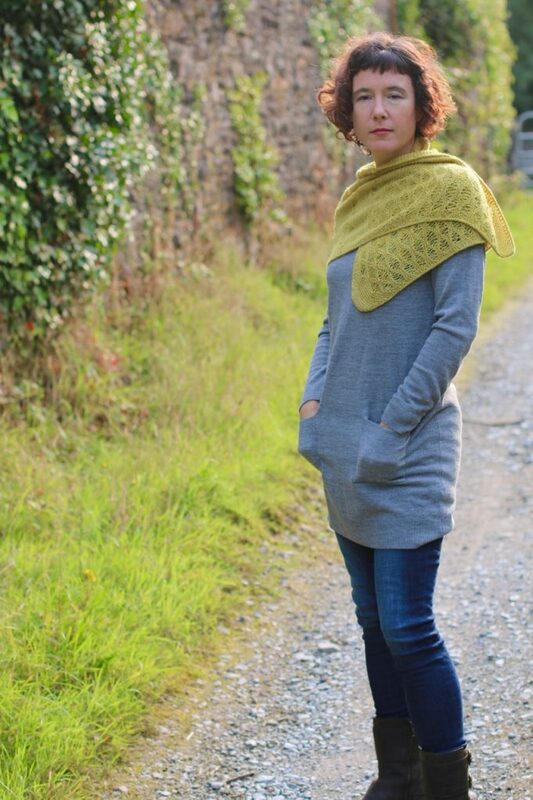 Once you reach the full width of the shawl you begin alternating Seafoam Pattern with garter stitch short row wedges which allow the bottom of the shawl to spread out. If you are worried about your yarn amount you can check when you reach the half way point to see if you still have over half of your yarn left. (A digital scale is the best way to do this.) Then when you’ve finished the short row central panel you begin decreasing on the other side to match the increases of the first side. It’s not a complex shawl but it uses a well know stitch in a different way to create a very interesting but intuitive shawl to knit. So it’s time to get out your needles and knit yourself some winter cosies, why not get started with Sea Bubbles? 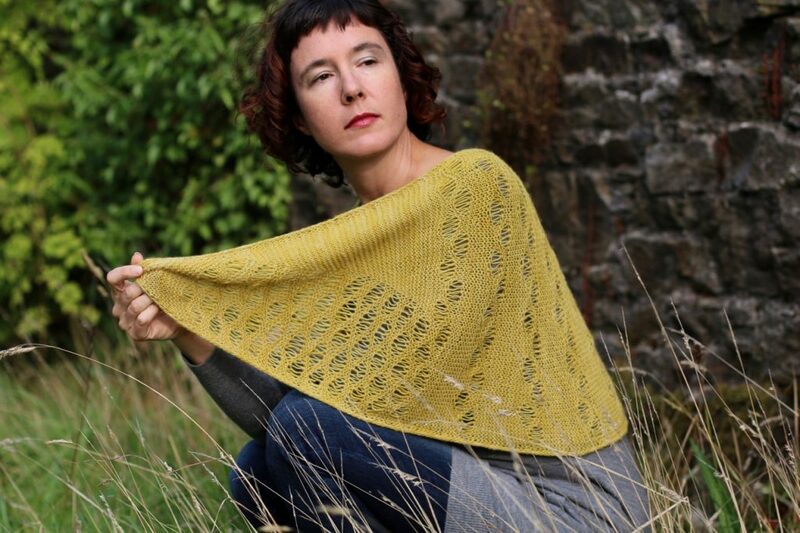 I love this shawl and the yarn looks beautiful – I cannot wait until the kit purchase opens up~! I am sure I will be stymied by the pattern, but I usually keep working at it until it works and feels right. Are there tutorials for the bubble stitch? It looks like short rows. Thanks for a wonderful pattern and beautiful yarn to complement the design. Fortunately it’s not a difficult stitch, but I can definitely put a tutorial together!